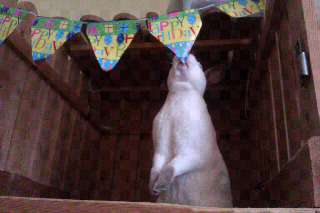 Speedy the cheeky house bunny: Here's the next chapter in my trip down memory lane! Here's the next chapter in my trip down memory lane! Here's my next chapter down memory lane,Its been hard to choose the different events some have been good some have been bad.I'll let you decide! 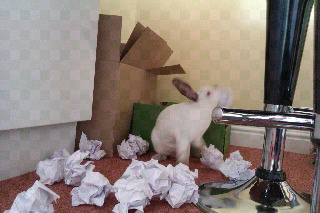 The first time I played with paper balls! 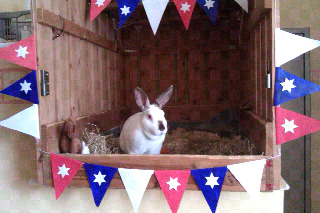 My activity centre that mum made! Me throwing Birthday parties for my friends! My first prize draw give away! I enjoyed all but the last one Speedy. I remember that wound and I sure am glad you are better. 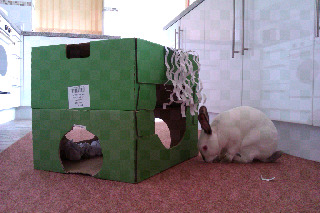 I love the paper balls and the activity center that your Mum made because i think she is soooo creative! Hope you healed fast from that last one!!! Wowwie! Me remembers all of these! Don't tell Mommy me sneaked on line! Especially the give away because ME Winned! Oh, Sir Speedy, Shining Knight to so many, especially your secret pen pal. I love your pictures. I have learned so much. Thank you for sharing these wonderful pictures. I'm sorry I have been out of pocket for a while. That is "American" for in my magic closet which of course only you have. 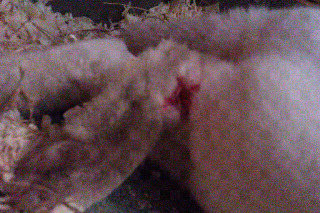 It makes me so sad to see your wound. I hope things just keep getting better. I am worried about the flooding I've heard about. Please be okay everybody. 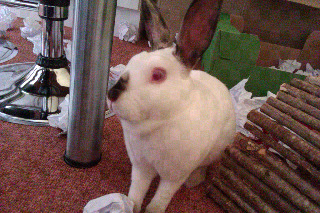 Sir Speedy I hope you will tell us about bunny glaucoma someday. It worries me. You take care Sir Little Biuddy. Love you! It has been a busy and memorable time!!! 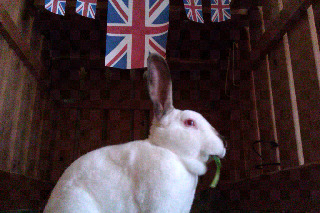 I love the picture of the Queens Diamond Jubliee with Speedy eating his lettuce, lol... so cute! 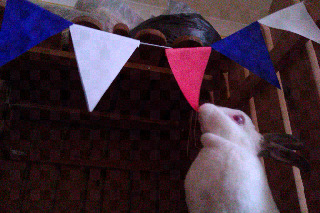 that was a fun post to do with Speedy! The final chapter in my trip down memory lane! A trip down Memory land part 2! A journey down Memory Lane! Weasley a tribute from Speedy! 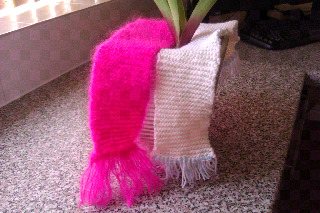 Mum has been busy to day!